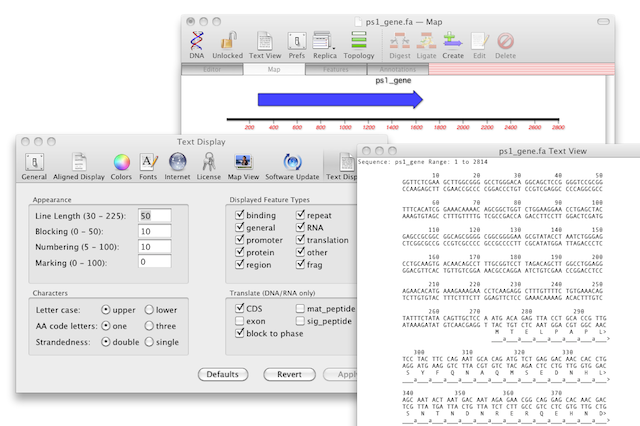 There’s a few ways to display an amino acid translation in the same window as your DNA or RNA sequence. 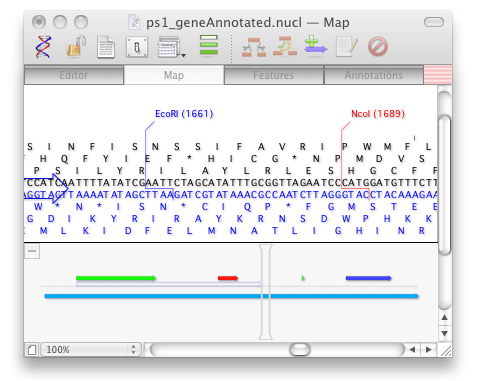 (2) If you have CDS or exons annotated to your sequence you can display a text view that translates these features and displays them with the sequence. This is the TEXT VIEW button in the toolbar. The TEXT VIEW is highly configurable. For example you can also have each codon spaced out and aligned with its amino acid if you select “BLOCK TO PHASE”. As in the following screenshot. You may find this easier to see the frame from which the amino acid sequence is translated from. If the sequence that you want to display does not have your desired translation annotated, then it is straightforward to do so. 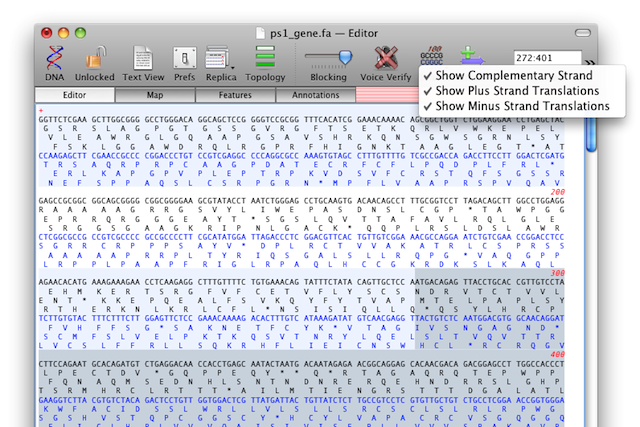 You can also use the ANALYZE > OPEN READING FRAMES… tool to find regions in your sequence. Once run, select the appropriate ORF in the ORF results to highlight the sequence in the editor. You can then go to step 2 above to annotate the sequence. This entry was posted in General, Techniques and tagged annotation, New features, translation. Bookmark the permalink. Both comments and trackbacks are currently closed.